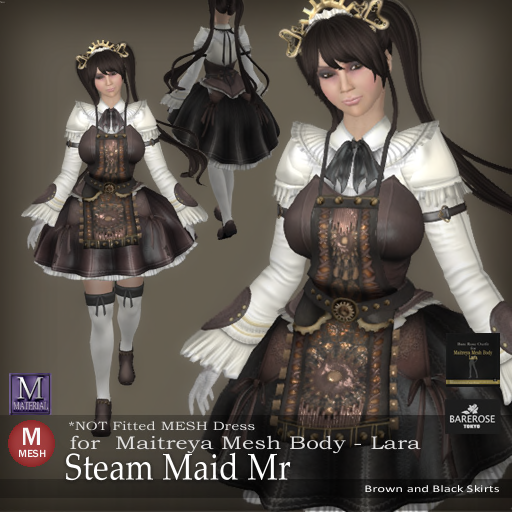 Bare Rose has yet another new outfit and this time it is Steam Maid MR (Yes, that's right, its MESH Release!) and the version Kitty is going to show you today is the one that support Maitreya! 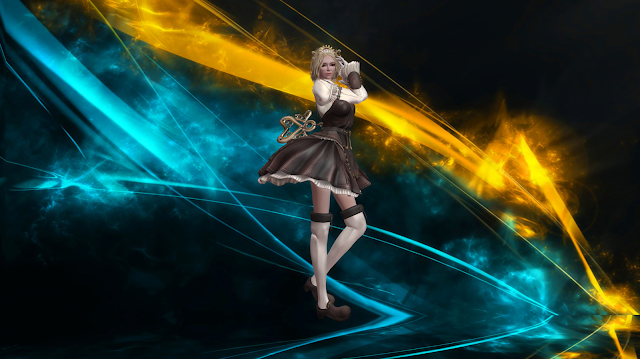 Steam Maid is the result of putting a maid uniform which is every okatu's dream together with a steampunk theme! Looks at the cute turn key on Kitty's back! Tell you a secret, it even moves in real time! Does Kitty looks like a cute marionette or not? 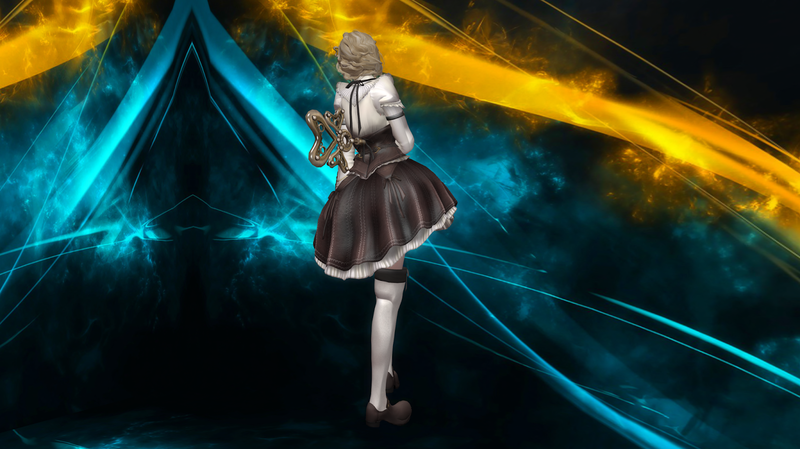 The maid uniform on the Steam Maid is made with leather like texture and metal buttons for the steampunk them and it comes with everything you see on Kitty now, including the kawaii crown on her head. There is even an applier to put the body texture onto your Maitreya Mesh body! Here is a bonus shot where you can see the cute heart shape turn key and the details of the neck ribbons as well as lacey leather dress. BTW, Do check out the other versions of Steam Maid too!